What is Historic Landscape Characterisation (HLC)? HLC uses maps to examine the historic and archaeological processes which have influenced the modern landscape. It allows us to identify the specific characteristics of an area or district, so that we can understand what makes that place special or distinct and helping us to make sure it is managed appropriately. It recognises that all parts of the landscape – from the Iron Age hillfort to the 1960s housing development – have historic value and contribute to the landscape in which we live. 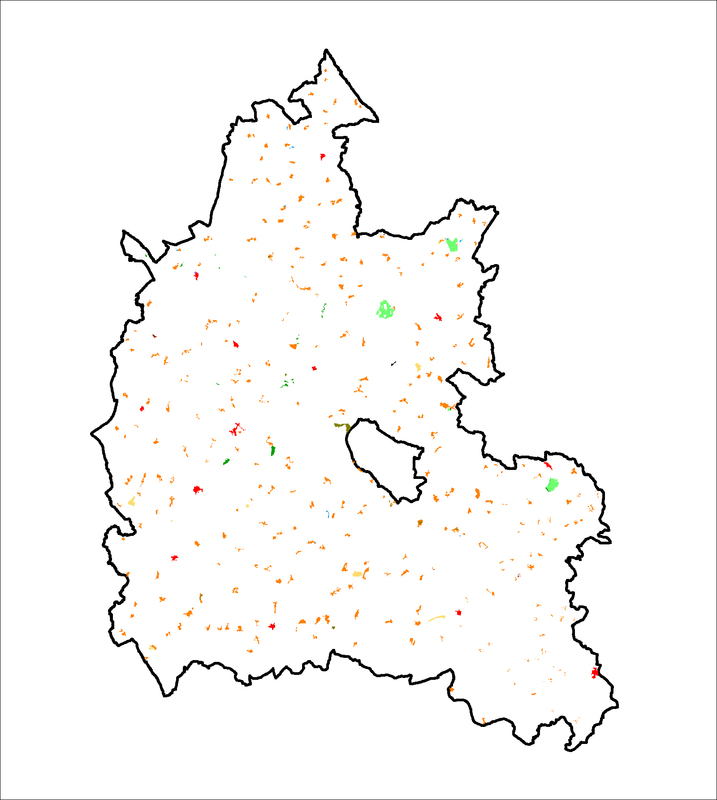 The project, which integrated earlier studies, examined Oxfordshire, and includes the three areas of outstanding natural beauty (AONB) - the Cotswold Hills, the Chiltern Hills, and the North Wessex Downs - as well as the district of Oxford. large-scale downloadable maps of Oxfordshire, showing the current landscape and what Oxfordshire looked like at the end of the 18th and 19th centuries, and the mid-16th century. 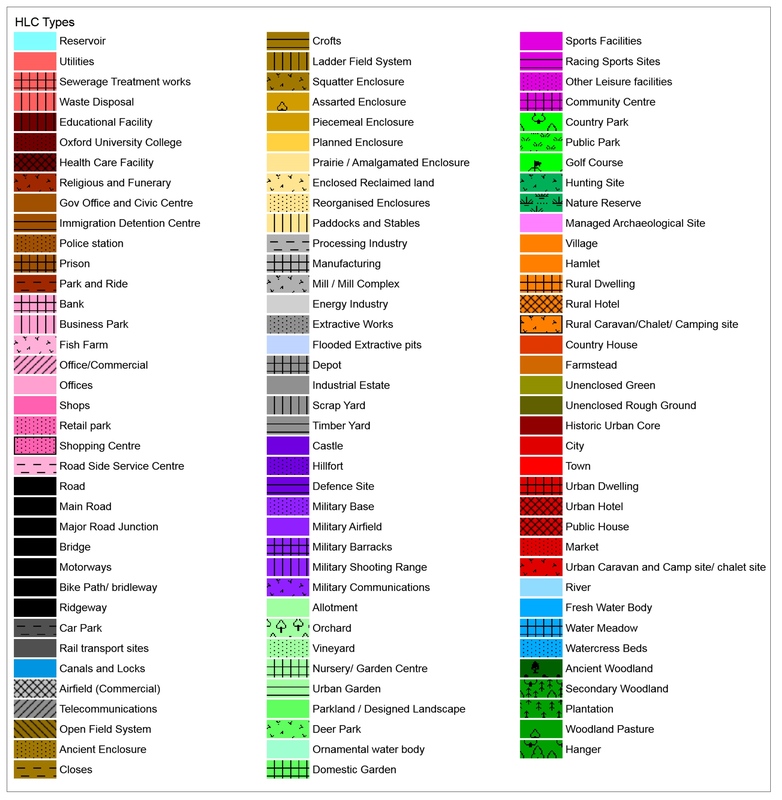 a series of public talks demonstrating the value of HLC data and how you can use it. The Oxfordshire HLC project ran from October 2012 to July 2017. Digitisation of the county was completed in December 2016 and any updates will be made on an ad hoc and piecemeal basis. Please contact us for more information about the project. Explore the online map to see how your village has changed since the 18th century, how the fields have evolved, and where remaining medieval parts of the landscape still survive. Dr Romola Parish worked with the Oxfordshire HLC project as poet in residence. Using the HLC, Romola explored the hidden histories of Oxfordshire's landscapes and captured in her anthology of poems, The Polygon Poems. Download her poem on Stonesfield (pdf format, 73Kb). Dr Romola Parish is a former academic specialising in landscape evolution, incorporating archaeological, geomorphological and anthropogenic approaches, and in environmental change, particularly in mountain environments. She now works in London as a planning and environmental lawyer. She recently graduated with distinction from the University of Oxford MSt in Creative Writing. She has had poetry published in the Irish Literary Review, Snakeskin, Cardiff Review and The Lamp. Landscape is an important focus of her creative work. Turn back the years and explore Oxfordshire’s past with these three walks inspired by the HLC project. 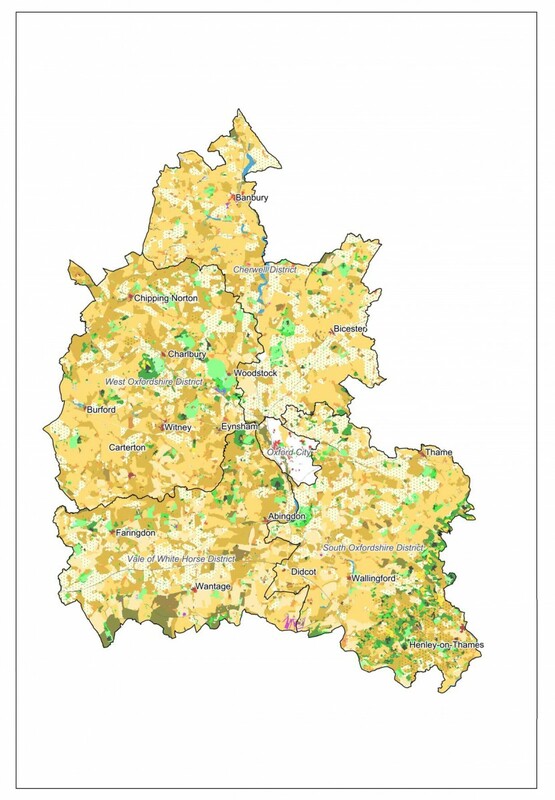 Download maps of Oxfordshire's landscape in the 18th, 19th, and 21st centuries or see how old our current landscape is. 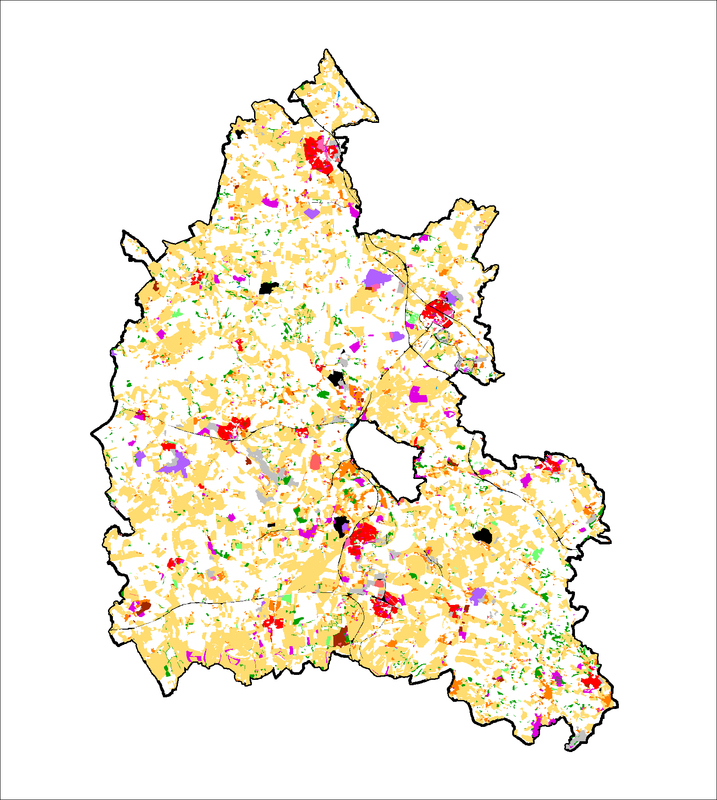 Using the Oxfordshire HLC, two case studies were carried out to analyse the capacity of the historic landscape for the creation of new woodland and new large-scale urban development. Download the reports or have a look at the operational guides to see how you can use these studies to better manage change in our county. The results of these analyses are also mapped on the online, interactive map. Explore the complete project archive online at the Archaeology Data Service. 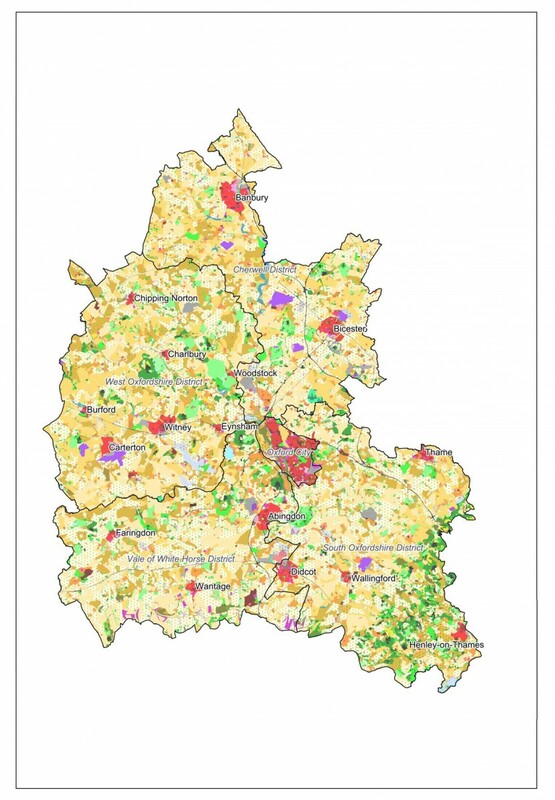 Here you can find the final and summary reports, project design, public presentations, maps, and the complete dataset to download as GIS shapefiles and linked database CSV files.